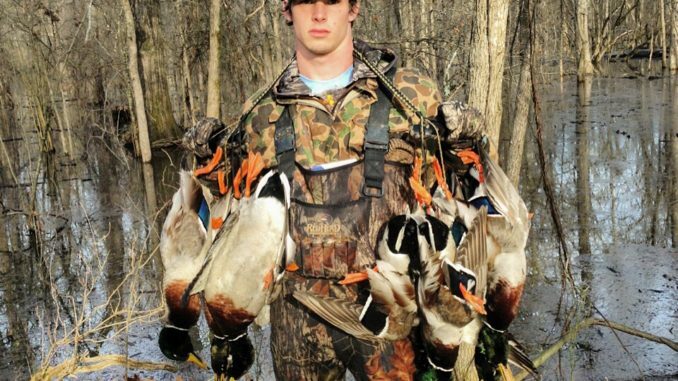 Mississippi waterfowl hunters get another liberal shot at ducks and geese in the 2018-19 season. 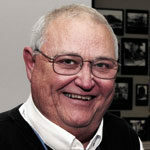 “Waterfowl breeding population estimates in 2017 remained high, and this will again allow states the opportunity to select a liberal hunting season of 60 days with a six-duck daily bag limit,” said Houston Havens, Waterfowl Program Coordinator for the Mississippi Department of Wildlife, Fisheries, and Parks. That is the same frameworks provided in the past, with the same limit. 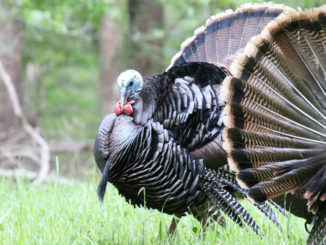 The Commission again chose to use six of the days to give hunters two three-day weekend seasons Nov. 23-25 and Nov. 30-Dec. 2. The bulk of the season will be in the third season, which opens on Dec. 5 and runs through the Jan. 27 end of the federal frameworks (final Sunday in January). The two youth waterfowl days will be Nov. 17 and Feb. 2. The six-duck daily limit can include no more than four mallards (no more than two of which may be females), three wood ducks, three scaup, two redheads, two canvasbacks, two black ducks, two pintails, and one mottled duck. The merganser daily bag limit will be a total of five mergansers, only two of which may be hooded mergansers. Coots will have a 15-bird daily bag limit. The possession limit is three times the daily bag limit for ducks, mergansers, and coots. The Commission also proposed the regular goose season, which has three splits and different limits for different species. The seasons will be Nov. 9-25, Nov. 30-Dec. 2 and then Dec. 5-Jan. 27. Goose limits are 3 Canada geese; 20 (singly or in aggregate) for snow, blue, and Ross’s geese; 3 white-fronted geese and 1 Brant. The possession limit is triple the daily limit on Canada, white-fronted and Brant, while there is no possession limit on snow, blue and Ross’s geese. A Federal Conservation Order will also allow hunting of snow, blue and Ross’s geese from Oct. 1-Nov. 8; Jan. 28-Feb. 1; and Feb. 3-March 31. There is no limit.